As the days continue to get shorter, the weather grows colder, and the Thanksgiving Day leftovers finally disappear, it’s a clear sign that the holiday season is upon us. Many people, including children, are food insecure, spending nights on the street or in shelters, or simply struggling to make ends meet. So, if you want to make a difference in the lives of those in need, knowing charities to donate to is important. 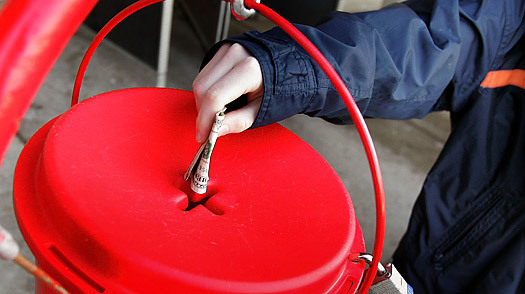 Donating to charity is a great way to give back to your community or the world-at-large. Giving allows you to help support individuals and families in need. It also serves as a chance to reflect on what you have and how you can do your part to make the world a better place. By giving donations of food, clothing, toys, and money, you too can make a difference. Here are a few charities that would be happy to have your contribution. One of the largest charities in the world, the United Way works to help disadvantaged individuals and communities. They focus on income assistance, health, and education. They also work with a range of other worthy causes. Additionally, they provide assistance during natural disasters. They provide support to areas ravaged by hurricanes, wildfires, and more. An international organization that focuses on supporting children in developing countries, Save the Children is an excellent charity to select. They strive to provide educational opportunities, healthcare, and financial assistance to kids in need. Further, they also help areas ravaged by natural disasters and battling the impacts of war. The Boys and Girls Club aims to provide opportunities to children, particularly in poverty-stricken areas. They create environments where kids can feel like part of a larger, supportive community while also giving them access to opportunities that help them become productive and functional members of society. A Christian charity, Kids Alive International provides care for at-risk youths. The organization has chapters throughout the world and provides assistance through schools, children’s homes, and care centers. Another Christian organization, Map International works with groups in poverty-stricken communities. Their aim is to improve the overall health of some of the poorest individuals and families by supporting the community and providing access to assistance that would otherwise be inaccessible. Food banks are always looking for donations of non-perishable food items. By providing support, you can help families have access to filling meals this holiday, ensuring that those who are less fortunate can still enjoy good food this season. Operated by the U.S. Marine Corps, Toys for Tots gathers new and gently used toys and distributes them to families with children who are in need. This allows less fortunate kids to experience the joy of having a gift this holiday season. A charity that looks to improve the lives of children by giving them access to books, Books for Africa gathers, sorts, and ships reading material to some of Africa’s most underprivileged areas. This is a great organization to support if you want to promote reading on an international level. The Salvation Army works on an international scale, striving to support some of the most impoverished individuals, families, and communities in numerous ways. The organization operates homeless shelters and charity shops. Plus, they provide support during disasters and humanitarian relief. When it comes to what you can donate, The Salvation Army can accept anything from money to vehicles to household items to clothes. Working to improve the health and well-being of children in need, the Ronald McDonald House makes specialized medical care more accessible to low-income families by providing access to low-cost or free housing near hospitals. Additionally, they make sure vulnerable communities can get basic medical and dental care. The season of giving is upon us, making it the perfect time to support your local area and those struggling in other countries. Whether you can donate your time, money, or items, you too can help improve the lives of people in need, so consider giving today. Do you have a favorite charity? Tell us about it in the comments below. When Should You Give to Charity?